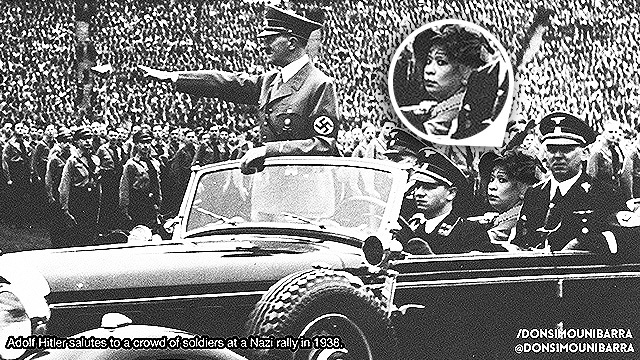 The 'Scandalous' Throwback Photos Of Lola Nidora! Revealing the (supposed) backstory of the hit <em>kalyeserye</em>'s anti-hero. Yaya Dub (Maine Mendoza) and Alden Richards aren't the only driving forces behind Eat Bulaga's kalyeserye, #Kiligpamore. For one, comedian Wally Bayola's character, Lola Nidora, has equal significance to the whole plot (and the show's appeal) as the transcendent love team, #AlDub. The enigmatic character may have gained a ton of haters, but there are still many who appreciate her grandmotherly gestures, especially her understandably overprotective persona. Mga litrato ni Lola Nidora na nahalungkat ko sa aking baul. Hindi ko maintindihan...wala kaming naging relasyon. Totoo! In an interview with Inquirer.net, the page owner, who is a self-professed #AlDub fan, said he was inspired by #Kiligpamore's "hidden message." He also believes that Lola Nidora's lessons on love are morals "that the youth of today should always keep in mind." Another set of photos, this time from an unofficial Facebook page of Lola Nidora, meanwhile, somewhat reveals the anti-hero's romantic history with, surprisingly, master mime Charlie Chaplin. Netizens may have been showing their love to the misunderstood matriarch, but in the end, it's still Yaya Dub's heartfelt indebtedness—shown through this new tribute Dubsmash vid—that truly matters.